zenon Energy Edition offers the technology for user-friendly command processing in a substation. All common protocols are supported for communication with the IEDs (for example IEC 61850 or IEC 61850 Edition 2, DNP3, Modbus etc.). The Command Sequencer in zenon automates the command processing and helps to save time and costs, and to avoid errors. The Command Sequencer is a tool that can be used to configure, test and execute command sequences. 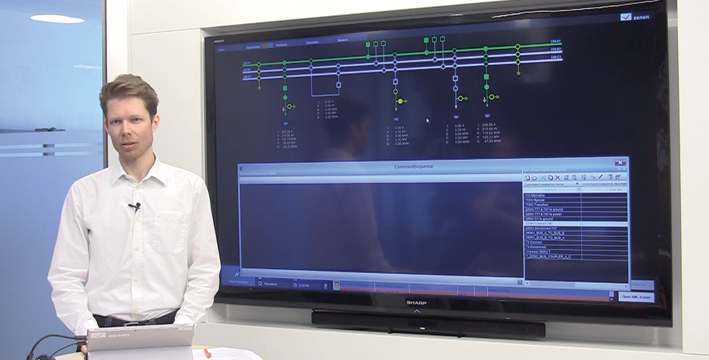 The command sequences for the automation of substations are configured in a graphics editor with excellent usability. PLC programming is not necessary. This ensures freedom from errors, efficiency and flexibility.